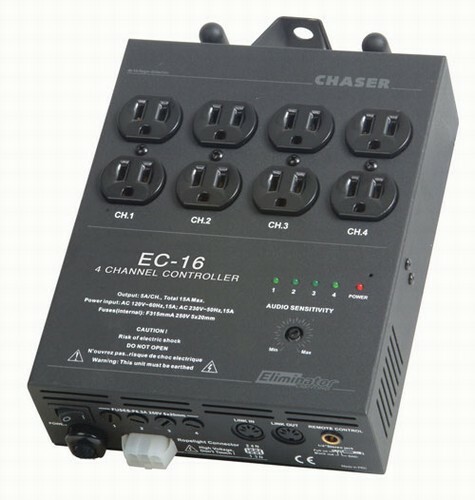 Great 4 channel light controller for pinspots, parcans, or even ropelights. This controller has a built in microphone with a sensitivity knob, 16 preset programs that go to the music and it is rated at 600 watts per channel. Hanging bracket included. 4 Channel Output / 600W per CH.